Holiday season is officially here, and you know what that means: gifts, gifts, and more gifts. Scoping out the perfect gift is a serious skill, especially when it's for your jet-setting friend who is in a different city every time you talk to them. All beauty lovers know that traveling with products is no easy feat. Getting through TSA with your go-to products (that you've probably re-packaged into mini containers to fit the acceptable size) is an accomplishment to be proud of. Let's be honest, there's no way to make it through without in-flight beauty essentials. Or even worse, to be without once you land. Whether it's a hydrating face mask or a deliciously scented perfume, there's a gift every globetrotter will love. Don't worry, we did the groundwork for you—click through for the best gifts for travelers. Why choose one scent to take on your trip when you can have a selection of three? One whiff of these delightful baby fragrances will have you hooked. Think warm, spicy, and sweet scents that look so chic they can double as collectibles. It's no secret that being up in the air for hours on end will leave you with dry, cracked lips. And the worst thing is not having a nourishing lip balm close by. 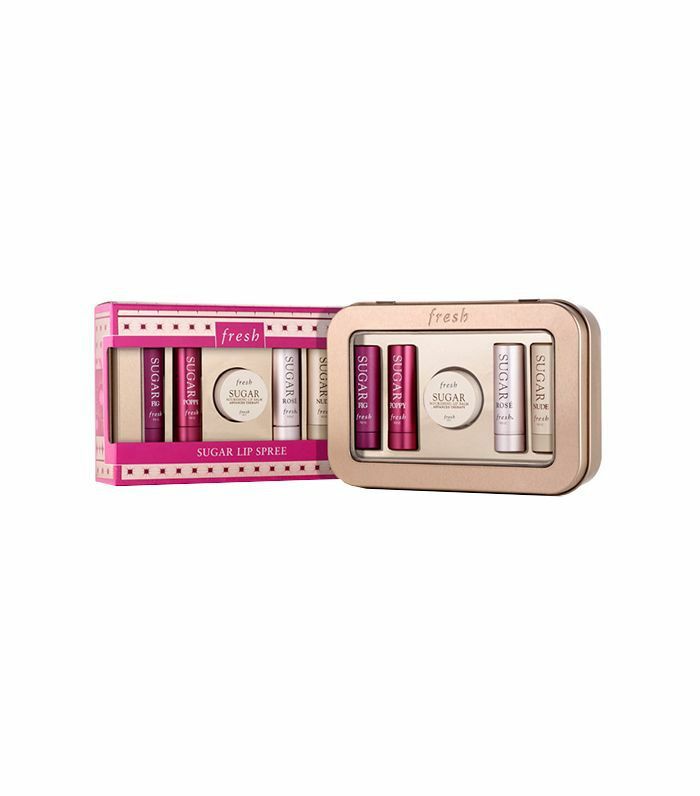 Gift your globetrotting friend this lip treatment set that will do it all—exfoliate, smooth, and shine your lips. 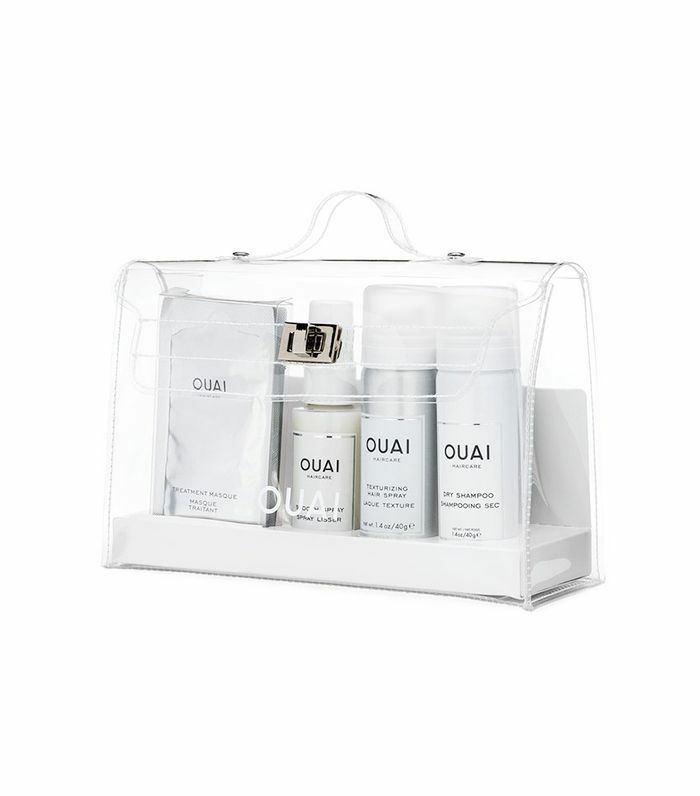 Ideal for tired, jet-setting skin, this gift set is perfect for your friend who does not play about their skincare routine. 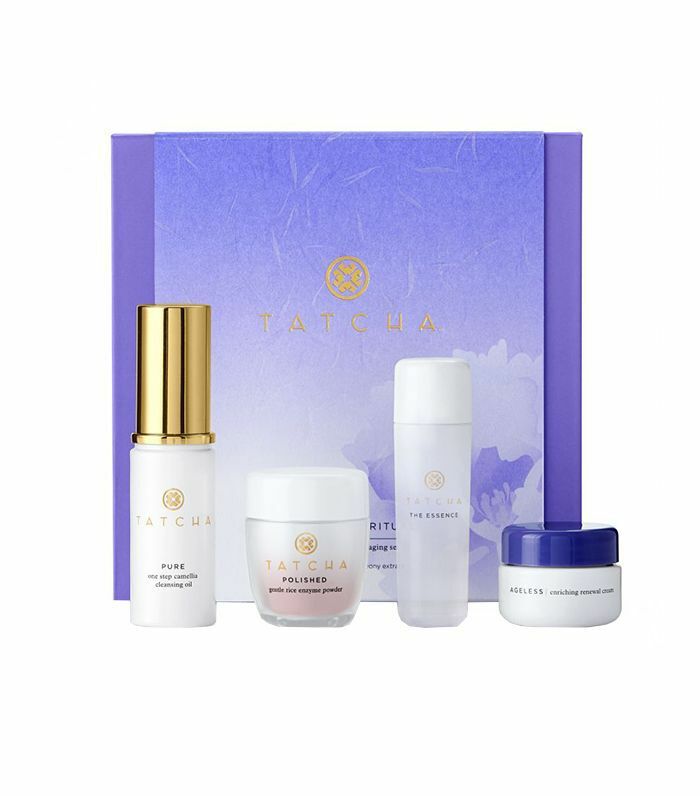 This set comes with a cleansing oil, rice enzyme powder, essence, and moisturizer infused with the finest, natural ingredients made specifically for dry skin. They'll be able to take the day off easily and wake up with supple, replenished skin. What's a flight without a sheet mask? 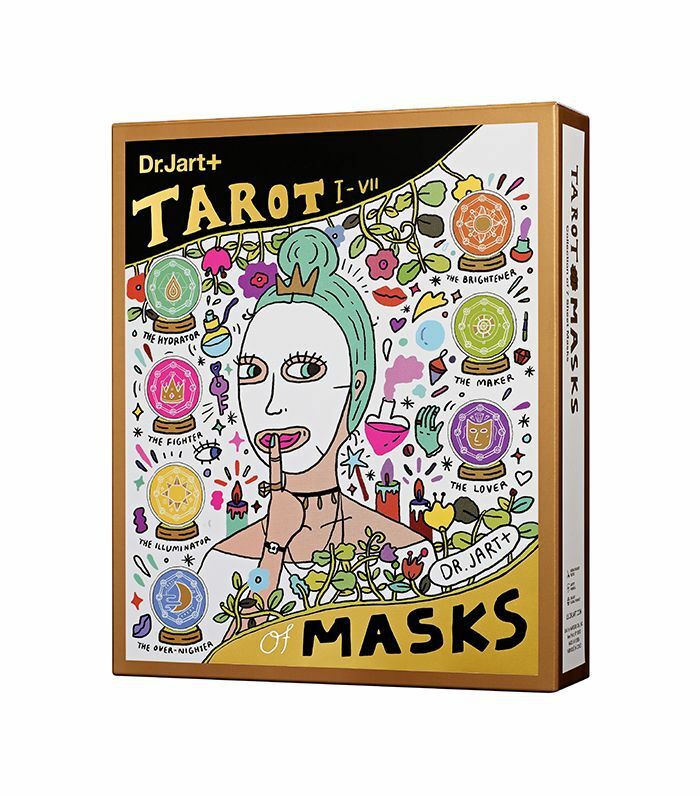 Dr. Jart created a tarot set of seven sheet masks that will answer all of your skin's desires. Gift this to your traveling friend who wants to keep their skin in check. Each is made for a different ailment, so you can combat clogged pores, dryness, wrinkles, dullness, and more. We all have those friends with good taste. You know, the type of friend you can't gift just any beauty product. Give them the best of the best in this little gold pouch equipped with tiny versions of crowd favorites. From Eve Lom's coveted cleanser to Oribe's holy grail texturing spray, they'll be set for days with this. The name of this travel pack drops major hints that you'll feel like straight-up royalty with this travel kit on hand. Your friend will thank you forever for gifting her with ear plugs, face mist, hand sanitizer, a silk eye mask, face wipe travel packets, hand cream, travel socks, and more. We'll take 10 of these, please. First of all, can we talk about how cute this see-through bag is? You'd essentially be gifting a two-in-one with this: haircare products and a chic purse. Oh, and the hair goods (made for all hair types) definitely measure up. Dry shampoo, texturizing spray, a hair mask, and a smoothing spray is a recipe for effortlessly perfect strands. You can never go wrong with giving someone the precious gift of sleep. Or at least, encouraging beauty sleep. That's where this silk eye mask and pillowcase comes in. This isn't made out of any old silk; it's the highest grade of mulberry silk. Whoever is lucky enough to receive this will sleep like a baby in and off their flight. 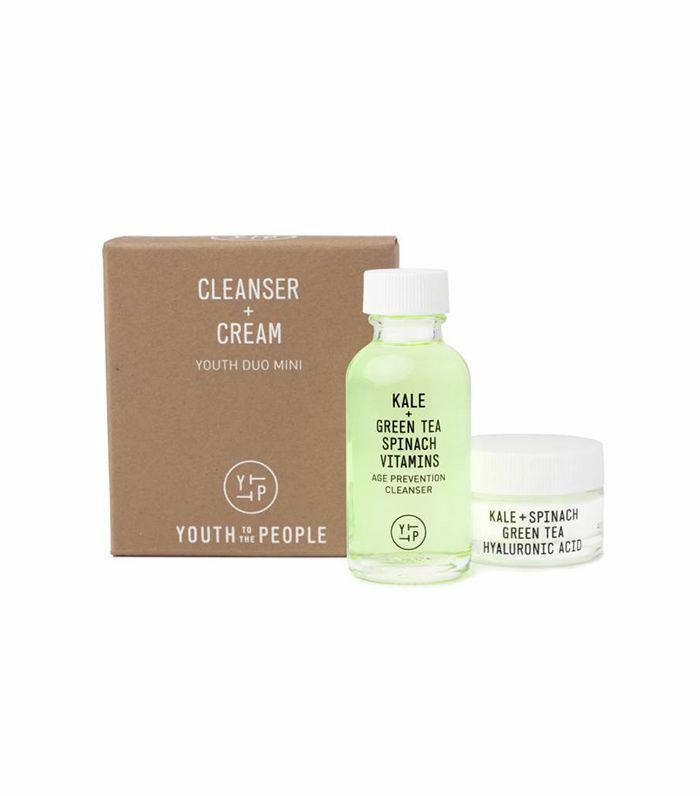 Created for natural beauty lovers, this superfood cleanser and hyaluronic acid cream are both made with kale and spinach to feed the skin with antioxidant-rich nutrients. Perfect for the traveler who is always on go-mode and needs to cut their skincare routine in half—this duo will deliver a noticeable glow. Kilian can do no wrong in our book. 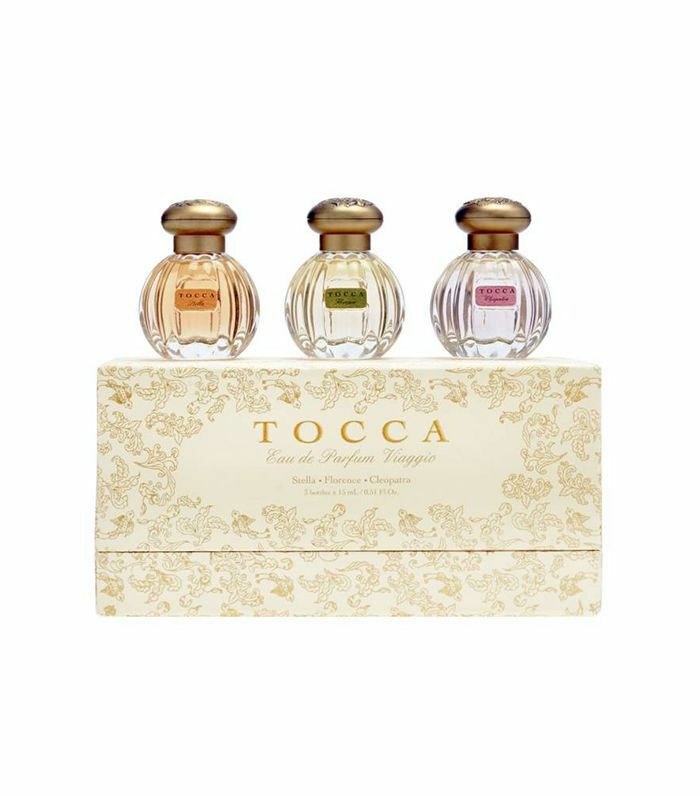 Hence these luxuriously scented perfumes that will leave notes of amber, rose, jasmine, and cedarwood on your skin. Your fragrance-obsessed friend will want to keep this floral scent nearby post-flight when they need to freshen up.